* Denotes publication that has undergone stringent editorial review by peers. + Denotes publication that was invited and carries special prestige and recognition. 169. * M. T. Rahman, K. Mireles,b J. G Chavez, P. C. Wo, J. Marcial, M. R. Kessler, J. McCloy, C. V. Ramana, R. Panat: High Temperature Oxidation Behavior of Ni-Cr Nanoparticles, Journal of Physical Chemistry-C, 2017, In Press (DOI). 168. * V.K. Thakur,b Y. Li,b H. Wu,b M.R. Kesslera: Synthesis, Characterization and Functionalization of Zirconium Tungstate (ZrW2O8) Nano-rods for Advanced Polymer Nanocomposites, Polymers for Advanced Technologies, 2017, In Press (DOI). 167. +,* C. Zhang,b T.F. Garrison,b S. Madbouly, M.R. Kesslera: Recent Advances in Renewable Polymers and Composites from Vegetable Oils, Progress in Polymer Science, 2017, In Press (DOI). 166. * D. S. Hoyt,c M. R. Hoyt,c G. D. DeBoer, D. C. Vennerberg,b M. R. Kesslera: A Dramatic Demonstration of the Carbothermal Reduction of Metal Oxides Using a Domestic Microwave Oven and Multi-walled Carbon Nanotubes, Journal of Materials Education, 2016, 38(5-6), 203-212. 165. * L. R. Fonseca,b J. A. Bergman,b M. R. Kessler, S. A. Madbouly,b Benedito S. Lima-Neto: Self-Metathesis of 10-Undecen-1-Ol with Ru-Amine-Based Complex for Preparing the Soft Segment and Chain Extender of Novel Castor Oil-Based Polyurethanes, Macromolecular Symposia, 2016, 368(1), 30-39 (DOI). 164. * Y. Li,b O. Rios, J. K. Keum, J. Chen, M. R. Kesslera: Photo-responsive Liquid Crystalline Epoxy Networks with Shape Memory Behavior and Dynamic Ester Bonds, ACS Applied Materials and Interfaces, 2016, 8(24), 15750-15757 (DOI). 163. * J. Vaddi, S. D. Holland, M. R. Kessler: Absorptive Viscoelastic Coatings for Full Field Vibration Coverage Measurement in Vibrothermography, NDT & E International, 2016, 82, 56-61 (DOI). 162. * B. Wang,a,b M. Rock,b K. Mireles,b Y. Li,b V. K. Thakur,b D. Gao, M. R. Kesslera: Synthesis and Preparation of Bio-Based ROMP Thermosets from Functionalized Renewable Isosorbide Derivative, Macromolecular Chemistry and Physics, 2016, 217(7), 871-879 (DOI). 161. * R. Ding,b M. Thunga,b H. Wu,b N. Bowler, M. R. Kesslera: Processing and Characterization of Low-Cost Electrospun Carbon Fibers from Organosolv Lignin/Polyacrylonitrile Blends, Carbon, 2016, 100, 126-136 (DOI). 160. * H. Wu,b V. Kumar Thakur,b M. R. Kesslera: Novel Low-cost Hybrid Composites from Asphaltene/SBS Tri-block Copolymer with Improved Thermal and Mechanical Properties, Journal of Materials Science, 2016, 51(5), 2394-2403 (DOI). 159. * W. Sun, H. Wu,b X. Tan, M. R. Kessler, N. Bowler: Silanized-Silicon/Epoxy Nanocomposites for Structural Capacitors with Enhanced Electrical Energy Storage Capability, Composites Science and Technology, 2015, 121, 34-40 (DOI). 158. * R. Gebhardt, P. Du, A Peer, M. Rock,b M. R. Kessler, R. Biswas, B. Ganapathysubramanian, S. Chaudhary, Utilizing Wide Band Gap, High Dielectric Constant Nanoparticles as Additives in Organic Solar Cells, Journal of Physical Chemistry C, 2015, 119(42), 23883-23889 (DOI). 157. * C. Zhang,b M. Yan, E. Cochran, M.R. Kesslera: Biorenewable Polymers Based on Acrylated Epoxidized Soybean Oil and Methacrylated Vanillin, Materials Today Communications, 2015, 5, 18-22 (DOI). 156. * C. Zhang,b S. A. Madbouly, M. R. Kesslera: Renewable Polymers Prepared from Vanillin and Its Derivatives, Macromolecular Chemistry and Physics, 2015, 216(17), 1816-1822 (DOI). 155. * K. Liu,b S. A. Madbouly, J. AQ. Schrader, M. R. Kessler, D. Grewell, W. R. Graves: Biorenewable Polymer Composites from Tall Oil-Based Polyamide and Lignin-Cellulose Fiber, Journal of Applied Polymer Science, 2015, 132(48), 42592 (DOI). 154. * C. Zhang,b H. Wu,b M. R. Kesslera: High Bio-content Polyurethane Composites with Urethane Modified Lignin as Filler, Polymer, 2015, 6, 52-57 (DOI). 153. * K. Liu,b S. A. Madbouly, M. R. Kessler: Bio-based Thermosetting Polymer Based on Soybean Oil and Eugenol, European Polymer Journal, 2015, 69, 16-28 (DOI). 152. * C. Zhang,b D. Vennerberg,b M. R. Kessler: In Situ Synthesis of Biopolyurethane Nanocomposites Reinforced with Modified Multiwalled Carbon Nanotubes, Journal of Applied Polymer Science, 2015, 132(36), 42515 (DOI). 151. * V. Kumar Thakur,b M. R. Kesslera: Self-healing Polymer Nanocomposites: A Review, Polymer, 2015, 69, 369-383 (DOI). 149. * S. Yang,b S. A. Madbouly, J. A. Schrader, D. Grewell, M. R. Kessler, W. R. Graves: Processing and Characterization of Bio-Based Polyhydroxyalkanoate (PHA)/Polyamide (PA) Blends: Improved Flexibility and Impact Resistance of PHA-based Plastics, Journal of Applied Polymer Science, 2015, 132(27), 42209 (DOI). 147. * H. Wu,b M. R. Kesslera: Multifunctional Cyanate Ester Nanocomposites Reinforced by Hexagonal Boron Nitride after Non-covalent Biomimetic Functionalization, ACS Applied Materials and Interfaces, 2015, 7(10), 5915-5926 (DOI). 146. * H. Wu,b M. R. Kessler: Asphaltene: Structural Characterization, Molecular Functionalization, and Application as Low-cost Filler in Epoxy Composites, RSC Advances, 2015, 5(31), 24264-24273 (DOI). 145. * C. Zhang,b S. Madbouly, M. R. Kesslera: Bio-based Polyurethanes Prepared from Different Vegetable Oils, ACS Applied Materials and Interfaces, 2015, 7(2), 1226-1233 (DOI). 144. * R. Chen,b J. S. Chen, C. Zhang,b M. R. Kesslera: Rapid Room-temperature Polymerization of Bio-based Multiaziridine-containing Compounds, RSC Advances, 2015, 5(2), 1557-1563 (DOI). 143. * W. Sun, L. Li, E. A. Stefanescu,b M. R. Kessler, N. Bowler: Dynamics of Poly(methyl methacrylate)-Montmorillonite Nanocomposites: A Dielectric Study, Journal of Non-Crystalline Solids, 2015, 410, 43-50 (DOI). 142. * M. D. Zenner,b S. A. Madbouly, J. S. Chen, M. R. Kessler: Unexpected Tackifiers from Isosorbide, ChemSusChem, 2015, 8(3), 448-451 (DOI). 141. * R. Chen,b C. Zhang,b M. R. Kesslera: Polyols and Polyurethanes Prepared from Epoxidized Soybean Oil Ring-opened by Polyhydroxy Fatty Acids with Varying OH Number, Journal of Applied Polymer Science, 2015, 132(1), 41213 (DOI). 140. * S. Yang,b S. A. Madbouly,a J. A. Schrader, G. Srinivasan, D. Grewell, K. G. McCabe, M. R. Kessler, W. R. Graves: Characterization and Biodegradation Behavior of Bio-Based Poly(lactic acid) and Soy Protein Blends for Sustainable Horticultural Applications, Green Chemistry, 2015, 17, 380-393 (DOI). 139. * Y. Li,b O. Rios, M. R. Kesslera: Thermomagnetic Processing of Liquid Crystalline Epoxy Resins and Their Mechanical Characterization Using Nanoindentation, ACS Applied Materials and Interfaces, 2014, 6(21), 19456-19464 (DOI). 138. * V. Kumar Thakur,b M. R. Kesslera: Free Radical Induced Graft Copolymerization of Ethyl Acrylate onto SOY for Multifunctional Materials, Materials Today Communications, 2014, 1, 34-41 (DOI). 137. * C. Zhang,b Y. Li,b R. Chen,b M. R. Kesslera: Polyurethanes from Solvent-Free Vegetable Oil Based Polyols, ACS Sustainable Chemistry and Engineering, 2014, 2(10), 2465-2476 (DOI). 136. * R. Ding,b Y. Xia,b T. Mauldin,b M. R. Kesslera: Biorenewable ROMP-based Thermosetting Copolymers from Functionalized Castor Oil Derivative with Various Cross-linking Agents, Polymer, 2014, 55(22), 5718-5726 (DOI). 135. * V. Kumar Thakur,b M. R. Kesslera: Synthesis and Characterization of AN-g-SOY for Novel Polymer Composites, ACS Sustainable Chemistry and Engineering, 2014, 2(10), 2454-2460 (DOI). 134. * D. Vennerberg,b M. R. Kesslera: Anisotropic Buckypaper Through Shear-Induced Mechanical Alignment of Carbon Nanotubes in Water, Carbon, 2014, 80, 433-439 (DOI). 133. * H. Lu,b S. A. Madbouly,a J. A. Schrader, M. R. Kessler, D. Grewell, W. R. Graves: Novel Bio-based Composites of Polyhydroxyalkanoates (PHA)/Distillers Dried Grains with Solubles (DDGS), RSC Advances, 2014, 4(75), 39802-39808 (DOI). 132. * R. Chen,b C. Zhang,b M. R. Kesslera: Anionic Waterborne Polyurethane Dispersion from Bio-based Ionic Segment, RSC Advances, 2014, 4(67), 35476-35483 (DOI). 131. * H. Saleem, M. Thunga,b M. Kollosche, M. R. Kessler, S. Laflamme: Interfacial Treatment Effects on Behavior of Soft Nano-composites for Highly Stretchable Dielectrics, Polymer, 2014, 55(17), 4531-4537 (DOI). 130. * H. Lu,b S. A. Madbouly, H. Lu,b J. A. Schrader, G. Srinivasan, K. G. McCabe, D. Grewell, M. R. Kessler, W. R. Graves: Biodegradation Behavior of Poly (lactic acid) (PLA)/Distillers’ Dried Grains with Soluble (DDGS) Composites, ACS Sustainable Chemistry & Engineering, 2014, 2014, 2(12), 2699-2706 (DOI). 129. D. Grewell, G. Srinivasan, J. Schrader, W. Graves, M. Kessler: Sustainable Materials for a Horticultural Application, Plastics Engineering, 2014, 70(3), 44-53. 128. * D. Vennerberg,b R. Hall,c M. R. Kesslera: Supercritical Carbon Dioxide-assisted Silanization of Multiwalled Carbon Nanotubes and Their Effect on the Thermo-mechanical Properties of Epoxy Nanocomposites, Polymer, 2014, 55, 4156-4163 (DOI). 127. * H. Cui,b M. R. Kesslera: Pultruded Glass Fiber/Bio-based Polymer: Interface Tailoring with Silane Coupling Agent, Composites Part A: Applied Science and Manufacturing, 2014, 65, 83-90 (DOI). 126. * M. Thunga,b A. Bauer,b K. Obusek, R. Meilunas, M. Akinc, M. R. Kesslera: Injection Repair of Carbon Fiber/Bismaleimide Composite Panels with Bisphenol E Cyanate Ester Resin, Composites Science and Technology, 2014, 100, 174-181 (DOI). 125. * V. Kumar Thakur,b D. Vennerberg,b M. R. Kesslera: Green Aqueous Surface Modification of Polypropylene for Novel Polymer Nanocomposites, ACS Applied Materials and Interfaces, 2014, 6(12), 9349-9356 (DOI). 124. * J. Riedl, D. Grewell, M. Kessler, D. R. Raman, R. Stephenson: Peel and Sear Strength and Tear Resistance of Ultrasonically Sealed Coextruded Polyolefin Films for Packaging Applications Welding in the World, 2014, 58, 619-636 (DOI). 122. * C. S. Daily, W. Sun, M. R. Kessler, X. Tan, N. Bowler: Modeling the Interphase of a Polymer-based Nanodielectric, IEEE Transactions on Dielectrics and Electrical Insulation, 2014, 21(2), 488-496 (DOI). 121. * H. Cui,b M. R. Kesslera: Composition Dependent Fracture Toughness of ROMP-based Dilulin/Dicyclopentadiene Copolymers, Journal of Materials Science, 2014, 49(4), 4880-4890 (DOI). 120. * V. Kumar Thakur,b M. K. Thakur, P. Raghavan, M. R. Kessler: Progress in Green Polymer Composites from Lignin for Multifunctional Applications: A Review, ACS Sustainable Chemistry & Engineering, 2014, 2, 1072-1092 (DOI). 119. * C. Zhang,b R. Ding,b M. R. Kesslera: Reduction of Epoxidized Vegetable Oils: A Novel Method to Prepare Bio-based Polyols for Polyurethanes, Macromolecular Rapid Communication, 2014, 35(11), 1068-1074 (DOI). 118. * Y. Li,b M. R. Kesslera: Creep-resistant behavior of self-reinforcing liquid crystalline epoxy resins, Polymer, 2014, 55(8), 2021-2027 (DOI). 117. * H. Acar, S. Cinar, M. Thunga,b M. R. Kessler, N. Hashemi, R. Montazamia: Study of Physically Transient Insulating Materials as a Potential Platform for Transient Electronics and Bioelectronics, Advanced Functional Materials, 2014, 24(26), 4135-4143 (DOI). 116. * P. Badrinarayanan,b F. K. Ko, C. Wang, B. A. Richard,c M. R. Kesslera: Investigation of the Effect of Clay Nanoparticles on the Thermal Behavior of PLA Using a Heat Flux Rapid Scanning Rate Calorimeter, Polymer Testing, 2014, 35, 1-9 (DOI). 115. * D. Vennerberg,b Z Rueger,c M. R. Kesslera: Effect of silane structure on the properties of silanized multiwalled carbon nanotube-epoxy nanocomposites, Polymer, 2014, 55, 1854-1865 (DOI). 114. * P. R. Hondred,b C. Autori,c M. R. Kesslera: Rare Earth Triflate Initiators in the Cationic Polymerization of Tung Oil-Based Thermosetting Polymers for Self-Healing Applications, Macromolecular Materials and Engineering, 2014, 299(9), 1062-1069 (DOI). 113. * D. Vennerberg,b R. L. Quirino,b Y. Jang, M. R. Kesslera: Oxidation Behavior of Multi-walled Carbon Nanotubes Fluidized with Ozone, ACS Applied Materials and Interfaces, 2014, 6, 1835-1842 (DOI). 112. * T. F. Garrison,b Z. Zhang, H.-J. Kim, D. Mitra, Y. Xia, D. P. Pfister, B. F. Brehm-Stecher, R. C. Larock, and M. R. Kesslera: Thermo-mechanical and Antibacterial Properties of Soybean-Oil-Based Cationic Polyurethane Coatings: Effects of Amine Ratio and Degree of Crosslinking, Macromolecular Materials and Engineering, 2014, 299, 1042-1051 (DOI). 111. * T. F. Garrison,b M. R. Kessler,a R. C. Larocka: Effect of Unsaturation and Different Ring-Opening Methods on the Properties of Vegetable Oil-Based Polyurethane Coatings, Polymer, 2014, 55, 1004-1011 (DOI). 110. * P. R. Hondred,b L. Salat,c M. R. Kesslera: Tung Oil-Based Thermosetting Polymers for Self-Healing Applications, Journal of Applied Polymer Science, 2014, 131(12) (DOI). 109. +,* R. L. Quirino, T. F. Garrison,b M. R. Kessler: Matrices from Vegetable Oils, Cashew Nut Shell Liquid, and Other Relevant Systems for Biocomposite Applications, Green Chemistry, 2014, 16, 1700-1715 (DOI) (invited). 108. * Y. Li,b M. R. Kesslera: Cure Kinetics of Liquid Crystalline Epoxy Resins Based on Biphenyl Mesogen, Journal of Thermal Analysis and Calorimetry, 2014, 117(1), 481-488 (DOI). 107. * M. Thunga,b M. Akinc, M. R. Kesslera: Tailoring the CTE and Toughness of High Temperature Bisphenol E Cyanate Ester (BECy) Resin, Express Polymer Letters, 2014, 8(5), 336-344 (DOI). 105. * S. A. Madbouly, J. A. Schrader, G. Srinivasan, K. Liu,b K. G. McCabe, D. Grewell, W. R. Graves, M. R. Kesslera: Bidegradation Behavior of Bacterial-Based Polyhydroxyalkanoate (PHA) and DDGS Composites, Green Chemistry, 2014, 16(4), 1911-1920 (DOI). 104. * A. Badshah,b M. R. Kessler, Z. Heng, A. Hasan: Synthesis and Characterization of Phthalonitrile Resins from Ortho-Linked Aromatic and Heterocyclic Monomers, Polymer International, 2014, 63, 465-469 (DOI). 103. * S. A. Madbouly, K. Liu,b Y. Xia,b M. R. Kesslera: Semi-interpenetrating polymer networks prepared from in-situ cationic polymerization of bio-based tung oil with biodegradable polycaprolactone, RSC Advances, 2014, 4 (13), 6710 – 6718 (DOI). 102. * S. E. Youg, H. Z. Guo, C. Ma, M. R. Kessler, X. Tan: Thermal Analysis of Phase Transitions in Perovskite Electroceramics, Journal of Thermal Analysis and Calorimetry, 2014, 115(1), 587-593 (DOI). 101. * V. Kumar Thakur,b D. Vennerberg,b S. A. Madbouly, M. R. Kesslera: Bioinspired Green Surface Functionalization of PMMA for Multifunctional Capacitors, RSC Advances, 2014, 4(13), 6677-6684 (DOI). 100. * M. Thunga,b K. Chen,b M. R. Kesslera: Bio-renewable Precursor Fibers from Lignin/Polylactide Blends for Conversion to Carbon Fibers, Carbon, 2014, 68, 159-166 (DOI). 99. * K. A. Ament,b M. R. Kessler, M. Akinc: Shear thinning behavior of aqueous alumina nanoparticle suspensions with saccharides, Ceramics International, 2014, 40(2), 3533-3542 (DOI). 98. * S. A. Madbouly, Y. Xia,b M. R. Kesslera: Broadband Dielectric Relaxation Spectroscopy of Functionalized Bio-based Castor Oil Copolymer Thermosets, Macromolecular Chemistry and Physics, 2013, 214(24), 2891-2902 (DOI). 97. * S. Laflamme, H. S. Saleem, B. K. Vasan, R. L. Geiger, D. Chen, M. R. Kessler, N. Bowler, K. Rajan: Soft Elastomeric Capacitor Network for Strain Sensing over Large Surfaces, IEEE/ASME Transactions on Mechatronics, 2013, 18(6), 1647-1654 (DOI). 96. * H. Wu,b M. Rogalski,c M. R. Kesslera: Zirconium Tungstate/Epoxy Nanocomposites: Effect of Nanoparticle Morphology and Negative Thermal Expansivity, ACS Applied Materials and Interfaces, 2013, 5(19), 9478-9487 (DOI). 95. * H. Cui,b R. Hanus,c M. R. Kesslera: Degradation of ROMP-based Bio-renewable Polymer by UV Radiation, Polymer Degradation and Stability, 2013, 98(11), 2357-2365 (DOI). 94. * Y. Li,b M. R. Kesslera: Liquid Crystalline Epoxy Resin Based on Bisphenol Mesogen: Effect of Magnetic Field Orientation During Cure, Polymer, 2013, 54 (21), 5742-5746 (DOI). 93. * A. Bauer,b M. Thunga,b K. Obusek, M. Akinc, M. R. Kesslera: Bisphenol E Cyanate Ester as a Novel Resin for Repairing BMI/Carbon Fiber Composites: Influence of Cure Temperature on Adhesive Bond Strength, Polymer, 2013, 54 (15), 3994-4002 (DOI). 92. * S. A. Madbouly,b Y. Xia,b M. R. Kesslera: Rheological Behavior of Environmentally-Friendly Castor Oil-Based Waterborne Dispersions, Macromolecules, 2013, 46 (11), 4606-4616 (DOI). 91. * M. D. Zenner,b Y. Xia,b J. S. Chen, M. R. Kessler: Polyurethanes from Isosorbide-Based Diisocyanates, ChemSusChem, 2013, 6 (7), 1182-1185 (DOI). 90. * M. Thunga,b K. Larson,c W. Lio,b T. Weerasekera,c M. Akinc, M. R. Kesslera: Low Viscosity Cyanate Ester Resin for the Injection Repair of Hole-edge Delaminations in Bismaleimide/Carbon Fiber Composites, Composites Part A: Applied Science and Manufacturing, 2013, 52, 31-37 (DOI). 89. * C. Zhang,b Y. Xia,b R. Chen,b S. Huh, P. A. Johnston, M. R. Kesslera: Soy-Castor Oil Based Polyols Prepared Using a Solvent-Free and Catalyst-Free Method and Polyurethanes Therefrom, Green Chemistry, 2013, 15(6), 1477-1484 (DOI). 88. * P. R. Hondred,b N. Bowler, and M. R. Kesslera: Electrothermal Lifetime Prediction of Polyimide Wire Insulation with Application to Aircraft, Journal of Applied Polymer Science, 2013, 130 (3), 1639-1644 (DOI). 87. * Y. Li,b P. Badrinarayana, b M. R. Kesslera: Liquid Crystalline Epoxy Resin Based on Biphenyl Mesogen: Thermal Characterization, Polymer, 2013, 54(12), 3017-3025 (DOI). 86. * A. Badshah,b M. R. Kessler, Z. Heng, J. H. Zaidi, S. Hameed, A. Hasan: An Efficient Approach to Prepare Ether and Amide-Based Self-Catalyzed Phthalonitrile Resins, Polymer Chemistry, 2013, 4, 3617-3622 (DOI). 85. * W. X. Sun, W. Z. Sun, M. R. Kessler, N. Bowler, K. W. Dennis, R. W. McCallum, Q. Li, X. Tan: Multifunctional properties of cyanate ester composites with SiO2 coated Fe3O4 fillers, ACS Applied Materials and Interfaces, 2013, 5, 1636-1642 (DOI). 84. * R. Hardis,b J. Jessop, F. E. Peters, M. R. Kessler a: Cure Kinetics Characterization and Monitoring of an Epoxy Resin for Thick Composite Structures, Composites Part A: Applied Science and Manufacturing, 2013, 49, 100-108 (DOI). 83. * D. M. Kadam, M. Thunga,b S. Wang, M. R. Kessler, D. Grewell, B. Lamsal, C. Yu: Preparation and Characterization of Whey Protein Isolate Films Reinforced with Porous Silica Coated Titania Nanoparticles, Journal of Food Engineering, 2013, 117, 133-140 (DOI). 82. * X. Sheng,b R. Hanus,c A. Bauer,b M. R. Kessler a: Effect of PEGDE Addition on Rheological and Mechanical Properties of Bisphenol E Cyanate Ester, Journal of Applied Polymer Science, 2013, 130, 463-469 (DOI). 81. * P. R. Hondred,b S. Yoon, N. Bowler, and M. R. Kessler a: Degradation Kinetics of Polytetrafluoroethylene (PTFE) and poly(ethylene-alt-tetrafluoroethylene) (ETFE), High Performance Polymers, 2013, 25(5), 535-542 (DOI). 80. * D. Vennerberg,b R. Quirino,b M. R. Kessler a: A Novel Microwave-Assisted Carbothermic Route for the Production of Copper-Carbon Nanotube Metal Matrix Composites Directly from Copper Oxide, Advanced Engineering Materials, 2013, 15(5), 366-372 (DOI). 79. * P. Badrinarayanan,b M. Rogalski,c H. Wu,b X. Wang,b W. Yu,c M. R. Kessler a: Epoxy Composites Reinforced with Negative-CTE ZrW2O8 Nanoparticles for Electrical Applications, Macromolecular Materials and Engineering, 2013, 298(2), 136-144 (DOI). 78. * S. A. Madbouly,b Y. Xia,b M. R. Kessler a: Rheokinetics of Ring Opening Metathesis Polymerization of Bio-Based Castor Oil Thermosets, Macromolecules, 2012, 45(19), 7729-7739 (DOI). 77. * Y. Xia,b Z. Zhang, M. R. Kessler, B. Brehm-Strecher, R. C. Larock: Antibacterial Soybean-Oil-Based Cationic Polyurethane Coatings Prepared from Different Amino Polyols, ChemSusChem, 2012, 5(11), 2221-2227 (DOI). 76. * H. Wu,b P. Badrinarayanan,b M. R. Kessler a: Physical and Thermal Properties of ZrW2O8 Nanoparticles with Different Morphologies from Hydrothermal Synthesis, Journal of the American Ceramic Society, 2012, 95(11), 3643-3650 (DOI). 75. +,* M. R. Kessler: Polymer Matrix Composites: A Perspective for a Special Issue of Polymer Reviews, Polymer Reviews, 2012, 52(3), 229-233 (DOI). 74. * M. R. Kessler: Special Chapter on State-of-the-Art Advances in Thermal Analysis and Calorimetry, Journal of Thermal Analysis and Calorimetry, 2012, 109, 1091-1094 (DOI). 73. * W. Sun, J. E. De León, b C. Ma, X. Tan,a M. R. Kessler: Novel Si/Cyanate Ester Nanocomposites with Multifunctional Properties, Composites Science and Technology, 2012, 72, 1692-1696 (DOI). 72. *H. Cui,b M. R. Kessler a: Glass fiber reinforced ROMP-based bio-renewable polymers: Enhancement of the interface with Silane Coupling Agents, Composites Science and Technology, 2012, 72, 1264-1272 (DOI). 70. *J. Vogel, M. R. Kessler, S. Sriram, D. Grewell: Activation Energy for Diffusion and Welding of PLA Films, Polymer Engineering and Science, 2012, 52(8), 1693-1700 (DOI). 69. *M. Thunga, b Y. Xia, U. Gohs, G. Heinrich, R. C. Larock, M. R. Kessler a: Influence of Electron Beam Irradiation on Mechanical Properties of Vegetable Oil-based Biopolymers, Macromolecular Materials and Engineering, 2012, 297(8), 799-806 (DOI). 68. +,* P. Badrinarayanan, b M. K. Rogalski, c M. R. Kessler a: Carbon Fiber Reinforced Cyanate Ester / Nano-ZrW2O8 Composites with Tailored Thermal Expansion, ACS Applied Materials and Interfaces, 2012, 4(2), 510-517 (DOI). 67. * P. Badrinarayanan, b M. I. Ahmad, M. Akinc, and M. R. Kessler a: Synthesis, Processing and Characterization of Negative Thermal Expansion Zirconium Tungstate Nanoparticles with Different Morphologies, Materials Chemistry and Physics, 2011, 131, 12-17 (DOI). 66. * X. Sheng,b D. M. Rock,c T. C. Mauldin,b M. R. Kesslera: Evaluation of Different Catalyst Systems for Bulk Polymerization through “Click” Chemistry, Polymer, 2011, 52(20), 4435-4441 (DOI). 65. * L. Li, N. Bowler, P. R. Hondred,b M. R. Kessler: Statistical Analysis of Electrical Breakdown Behavior of Polyimide Following Degrading Processes, IEEE Transactions on Dielectrics and Electrical Insulation, 2011, 18(6), 1955-1962 (DOI). 64. * X. Liu, J. K. Lee, M. R. Kessler: Microencapsulation of Self-healing Agents with Malamine-Urea-Formaldehyde by the Shirasu Porous Glass (SPG) Emulsification Technique, Macromolecular Research, 2011, 19(10), 1056-1061 (DOI). 63. * P. Badrinarayanan b and M. R. Kessler a: Zirconium Tungstate/Cyanate Ester Nanocomposites with Tailored Thermal Expansivity, Composites Science and Technology, 2011, 71, 1385-1391 (DOI). 62. * G. C. Huang, J. K. Lee, M. R. Kessler: Evaluation of Norbornene-Based Adhesives to Amine Cured Epoxy for Self-Healing Applications, Macromolecular Materials and Engineering, 2011, 23(4), 335-342 (DOI). 61. * L. Li, N. Bowler, P. R. Hondred, b M. R. Kessler a: Influence of Thermal Degradation and Saline Exposure on Dielectric Permittivity of Polyimide, Journal of Physics and Chemistry of Solids, 2011, 72(7), 875-881 (DOI). 60. * P. Hondred,b S. Yoon, N. Bowler, E. Moukhina, M. R. Kessler a: Degradation Kinetics of Polyimide Wire Insulation, High Performance Polymers, 2011, 23(4), 335-342 (DOI). 59. * S. Bhuyan, S. Sundararajan, X. Sheng,b M. Kessler a: Influence of crosslink density on the tribological behavior of norbornene-based polymeric materials, Wear, 2011, 270, 550-554 (DOI). 58. * E. A. Stefanescu,b X. Tan, Z. Lin, N. Bowler, M. R. Kessler a: Multifunctional Fiberglass-Reinforced PMMA-BaTiO3 Structural/Dielectric Composites, Polymer, 2011, 52, 2016-2024 (DOI). 57. * M. Thunga,b W. Y. Lio,b M. Akinc, M. R. Kessler a: Adhesive Repair of Bismaleimide/Carbon Fiber Composites with Bisphenol E Cyanate Ester, Composites Science and Technology. 2010, 71, 239-245 (DOI). 56. 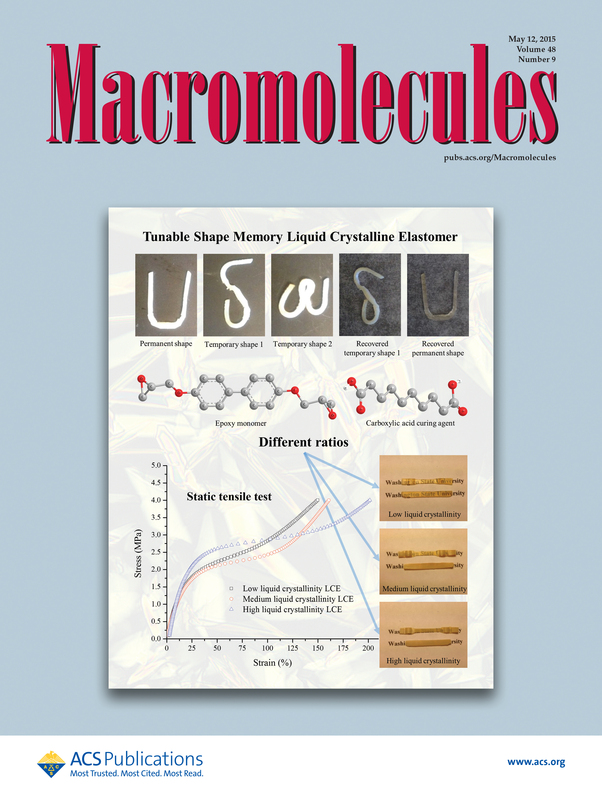 * M. Valverde, S. Yoon, S. Bhuyan, R. C. Larock, M. R. Kessler, S. Sundararajan: Rubbers Based on Conjugated Soybean Oil: Synthesis and Characterization, Macromolecular Materials and Engineering. 2011; 296, 444-454 (DOI). 55. * E. A. Stefanescu,b X. Tan, Z. Lin, N. Bowler, M. R. Kessler a: Multifunctional PMMA-Ceramic Composites as Structural Dielectrics, Polymer. 2010, 51, 5823-5832 (DOI). 54. * P. Badrinarayanan,b K. B. Dowdy,c M. R. Kessler a: A Comparison of Crystallization Behavior for Melt and Cold Crystallized Poly (L- lactide) Revealed Using Rapid Scanning Rate Calorimetry, Polymer. 2010; 51, 4611-4618 (DOI). 53. * P. Badrinarayanan,b J. Leonard,c M. R. Kessler a: Enhanced Reaction Kinetics and Impact Strength of Cyanate Ester Reinforced with Multiwalled Carbon Nanotubes, Journal of Nanoscience and Nanotechnology. 2011; 11(5), 3970-3978 (DOI). 52. +,* T. C. Mauldin,b M. R. Kessler a: Self-healing Polymers and Composites, International Materials Reviews. 2010; 55(6), 317-346 (DOI). 51. * D. Grewell, D. Fuchs,b K. Rajan, M. Schemme, P. Karlinger, M. R. Kessler: Vacuum Infusion Processing of Self-Healing Composites with Reinforcement Bound Microcapsules, Journal of Plastics Technology. 2011; 1, 2-16 (DOI). 50. * X. Sheng,b T. C. Mauldin,b M. R. Kessler a: Kinetics of Bulk Azide/Alkyne “Click” Polymerization, Journal of Polymer Science Part A: Polymer Chemistry. 2010; 48, 4093-4102 (DOI). 49. * T. C. Mauldin,b M. R. Kessler a: Enhanced Bulk Catalyst Dissolution for Self-healing Materials, Journal of Materials Chemistry. 2010; 20, 4198-4206 (DOI). 48. * X. Sheng,b M. Akinc, M. R. Kessler a: Creep Behavior of Bisphenol E Cyanate Ester/Alumina Nanocomposites, Materials Science & Engineering. A, Structural Materials.2010; 527, 5892-5899 (DOI). 47. * P. Badrinarayanan,b M. R. Kessler a: A Laboratory to Demonstrate the Effect of Thermal History on Semicrystalline Polymers Using Rapid Scanning Rate Differential Scanning Calorimetry, Journal of Chemical Education. 2010; 87(12), 1396-1398 (DOI). 46. * L. Li, N. Bowler, M. R. Kessler, S. H. Yoonb: Dielectric Response of PTFE and ETFE Wiring Insulation to Thermal Exposure, IEEE Transactions on Dielectrics and Electrical Insulation. 2010; 17(4), 1234-1241 (DOI). 45. * K. A. Ament,b M. R. Kessler, M. Akinc: Cyanate Ester-Alumina Nanoparticle Suspensions: Effect of Alumina Concentration on Viscosity and Cure Behavior, Polymer Engineering and Science. 2011; 51(7), 1409-1417 (DOI). 44. * J. Vogel, D. Grewell, M. R. Kessler, D. Drummer, M. Menacher: Ultrasonic and Impulse Welding of Polylactic Acid Films, Polymer Engineering and Science.2011; 51, 1060-1067 (DOI). 43. * W. Jeong,b T. C. Mauldin,b R. C. Larock, M. R. Kesslera: Bio-based Rubbers by Concurrent Cationic and Ring-Opening Metathesis Polymerization of Modified Linseed Oil, Macromolecular Materials and Engineering. 2009; 294, 756-761 (DOI). 42. * X. Sheng,b M. Akinc, M. R. Kesslera: Rheology and Dynamic Mechanical Analysis of Bisphenol E Cyanate Ester/Alumina Nanocomposites, Polymer Engineering and Science. 2010; 50(2), 302-311 (DOI) . 41. * W. Jeong,b M. R. Kesslera: Effect of Functionalized MWCNTs on the Thermo-mechanical Properties of Poly(5-ethylidene-2-norbornene)Composites Produced by Ring-Opening Metathesis Polymerization, Carbon. 2009; 47, 2406-2412 (DOI). 40. * D. D. Andjelkovic, Y. Lu, M. R. Kessler, R. C. Larock: Novel Rubbers from Cationic Copolymerization of Soybean Oils and Dicyclopentadiene. II. Mechanical and Damping Properties, Macromolecular Materials and Engineering. 2009; 294, 472-483 (DOI). 39. * X. Sheng, b M. Akinc, M. R. Kessler a: The Effects of Alumina Nanoparticles on the Cure Kinetics of Bisphenol E Cyanate Ester, Polymer Engineering and Science. 2010; 50(6), 1075-1084 (DOI). 38. * K. Haman,c P. Badrinarayanan,b M. R. Kesslera: Effect of Zirconium Tungstate Filler on the Cure Behavior of a Cyanate Ester Resin, ACS Applied Materials and Interfaces. 2009; 1(6), 1190-1195 (DOI). 37. * P. Badrinarayanan,b B. Mac Murray,c M. R. Kesslera: Zirconium Tungstate Reinforced Cyanate Ester Composites with Enhanced Dimensional Stability, Journal of Materials Research. 2009; 24(7), 2235-2242 (DOI). 36. * K. Haman,c P. Badrinarayanan,b M. R. Kesslera: Cure Characterization of the Ring-Opening Metathesis Polymerization of Linseed Oil-Based Thermosetting Resins, Polymer International. 2009; 58(7), 738-744 (DOI). 35. * X. Sheng,b J. K. Lee,b M. R. Kesslera: The Influence of Cross-link Density on the Properties of ROMP Thermosets, Polymer. 2009; 50, 1264-1269 (DOI). 34. * Fen Chao,b Nicola Bowler, Xiaoli Tan, Guozheng Liang, Michael R Kesslera: Influence of Adsorbed Moisture on the Properties of BaTiO3/cyanate Ester Composites, Composites Part A: Applied Science and Manufacturing. 2009; 40, 1266-1271 (DOI). 33. * T. C. Mauldin,b M. R. Kesslera: Latent Catalytic Systems for Ring-Opening Metathesis-Based Thermosets, Journal of Thermal Analysis and Calorimetry. 2009; 96, 705-713 (DOI). 32. * P. H. Henna, M. R. Kessler, R. C. Larock: Fabrication and Properties of Vegetable Oil-Based Glass Fiber Composites by Ring Opening Metathesis Polymerization, Macromolecular Materials and Engineering. 2008; 293, 979-990 (DOI). 31. * P. Badrinarayanan,b Y. Lub, R. C. Larock, M. R. Kesslera: Cure Characterization of Soybean Oil-Styrene-Divinylbenzene Thermosetting Copolymers, Journal of Applied Polymer Science. 2009; 113, 1042-1049 (DOI). 30. * W. Jeong,b M. R. Kesslera: Toughness Enhancement in ROMP Functionalized Carbon Nanotube/Polydicyclopentadiene Composites, Chemistry of Materials. 2008; 20 (22), 7060-7068 (DOI). 29. * S. H. Yoon,b Y. E. Hwang, J. S. Kim, H. J. Yoon, M. R. Kessler: Durability of Carbon/Epoxy Composites for Train Carbody under Salt Water Environment, Journal of the Korean Society for Railway. 11(4), 357-363, 2008. 28. * T. C. Mauldin,b K. Haman,c X. Sheng,b P. Henna, R. C. Larock, M. R. Kesslera: Ring-Opening Metathesis Polymerization of a Modified Linseed Oil with Varying Levels of Crosslinking, Journal of Polymer Science A: Polymer Chemistry. 2008; 46, 6851-6860 (DOI). 27. * S.W. Hong, W. Jeong,b V. Tsukruk, M. R. Kessler, Z. Lin: Directed Self-Assembly of Gradient Concentric Carbon Nanotube Rings, Advanced Functional Materials. 2008; 18, 2114-2122. (featured on inside front cover (issue 14)). Listed as one of the “Most accessed articles in 07/2008” in Advanced Functional Materials (DOI). 26. * X. Sheng,b M. Akinc, M. R. Kesslera: Cure Kinetics of Thermosetting Bisphenol E Cyanate Ester, Journal of Thermal Analysis and Calorimetry. 2008; 1, 77-85 (DOI). 25. * W. K. Goertzen,b M. R. Kesslera: Three-phase Cyanate Ester Composites with Fumed Silica and Negative-CTE Reinforcements, Journal of Thermal Analysis and Calorimetry. 2008; 1, 87-93 (DOI). 24. * X. Liu,b X. Sheng,b J. K. Lee,b M. R. Kessler, J. S. Kim: Rheokinetic Evaluation of Self-healing Agents Polymerized by Grubbs Catalyst Embedded in Various Thermosetting Systems, Composites Science and Technology. 2009; 69, 2102-2107 (DOI). 23. * X. Liu,b X. Sheng,b M. R. Kessler, J. K. Leeb: Synthesis and Characterization of Melamine-Urea-Formaldehyde Microcapsules Containing ENB-based Self-healing Agents, Macromolecular Materials and Engineering. 2009; 294, 389-395, (cover issue) (DOI). 22. * W. K. Goertzen,b X. Sheng,b M. Akinc, M. R. Kesslera: Rheology and Curing Kinetics of Fumed Silica/Cyanate Ester Nanocomposites, Polymer Engineering and Science. 2008; 48, 875-883 (DOI). 21. * W. K. Goertzen,b M. R. Kesslera: Thermal Expansion of Fumed Silica/Cyanate Ester Nanocomposites, Journal of Applied Polymer Science. 2008; 39, 761-768 (DOI). 20. * W. K. Goertzen,b M. R. Kesslera: Dynamic Mechanical Analysis of Fumed Silica/Cyanate Ester Nanocomposites, Composites Part A: Applied Science and Manufacturing. 2008; 39, 761-768 (DOI). 19. * J. M. Duell,b J. M Wilson,b M. R. Kesslera: Analysis of a Carbon Composite Overwrap Repair System, International Journal of Pressure Vessels and Piping. 2008; 85, 782-788 (DOI). 18. +,* M. R. Kessler: Self-healing: A new paradigm in materials design. Proceedings of the Institution of Mechanical Engineers. Part G, Journal of Aerospace Engineering. 2007; 221(4), 479-495 (DOI). 17. * Donna Farrior, William Hamill, Leslie Keiser, Michael Kessler, Peter LoPresti, Jerry McCoy, Shirley Pomeranz, William Potter, and Bryan Tapp: Interdisciplinary Lively Application Projects in Calculus Courses, Journal of STEM Education. 2007; 8(3-4), 50-62 (PDF). 16. * X. Sheng,b M. R. Kessler,a J. K. Leeb: The Influence of Cross-linking Agents on Ring-Opening Metathesis Polymerized Thermosets, Journal of Thermal Analysis and Calorimetry. 2007; 89, 459-464 (DOI). 15. * X. Liu,b X. Sheng,b M. R. Kessler, J. K. Leeb: Isothermal Cure Characterization of Dicyclopentadiene: The Glass Transition Temperature and Conversion, Journal of Thermal Analysis and Calorimetry. 2007; 89, 453-457 (DOI). 14. * J. K. Lee,b X. Liu,b S. H. Yoon, M. R. Kessler: Thermal Analysis of Ring Opening Metathesis Polymerized Healing Agents, Journal of Polymer Science Part B: Polymer Physics. 2007; 45, 1771-1780 (DOI). 13. * W. K. Goertzen,b M. R. Kesslera: Thermal and Mechanical Evaluation of Cyanate Ester Composites with Low Temperature Processability, Composites Part A: Applied Science and Manufacturing. 2007; 38, 779-784 (DOI). 12. * W. K. Goertzen,b M. R. Kesslera: Dynamic Mechanical Analysis of Carbon/Epoxy Composites for Structural Pipeline Repair, Composites Part B: Engineering.2007; 38, 1-9 (DOI). 11. * G. E. Larin,b M. R. Kessler,a N. Bernklaub, J. C. DiCesare: Rheokinetics of Ring-Opening Metathesis Polymerization of Norbornene Based Monomers Intended for Self-healing Applications, Polymer Engineering and Science. 2006; 46:12, 1804-1811 (DOI). 10. * W. K. Goertzen,b M. R. Kesslera: Creep Behavior of Carbon Fiber/Epoxy Matrix Composites, Materials Science & Engineering. A, Structural Materials: Properties, Microstructure and Processing. 2006; 421, 217-225 (DOI). 9. * R. Palakodeti,b M. R. Kesslera: Influence of Frequency and Prestrain on the Mechanical Efficiency of Dielectric Electroactive Polymer Actuators, Materials Letters. 2006; 60, 3437-3440 (DOI). 8. * M. R. Kessler,a G. E. Larin,b N. Bernklaub: Cure Characterization and Viscosity Development of Ring-opening Metathesis Polymerized Resins, Journal of Thermal Analysis and Calorimetry. 2006; 85:1, 7-12 (DOI). 7. * X. Liu, Jong Keun Lee, Sung Ho Yoon, M. R. Kesslera: Characterization of Diene Monomers as Healing Agents for Autonomic Damage Repair, Journal of Applied Polymer Science. 2006; 101, 1266-1272 (DOI). 6. * E. N. Brown, M. R. Kessler, N. R. Sottos, J. S. Moore, S. R. White: In Situ Poly(urea-formaldehyde) Microencapsulation of Dicyclopentadiene, Journal of Microencapsulation. Nov-Dec 2003; 20:6, 719-730 (DOI). 5. * M. R. Kessler,a N. R. Sottos, S. R. White: Self-healing Structural Composite Materials, Composites Part A: Applied Science and Manufacturing. 2003; 34:8, 743-753 (DOI). 4. * M. R. Kessler,a S. R. White: Cure Kinetics of Ring-Opening Metathesis Polymerization of Dicyclopentadiene, Journal of Polymer Science A: Polymer Chemistry. 2002; 40 2373-2383 (cover issue) (DOI). 3. * Sung Ho Yoon, Heewon Park, Sunji Hong, Jong Keun Lee, M. R. Kessler, S. R. White: Manufacturing Process of Microcapsules for Autonomic Damage Repair of Polymeric Composites, Journal of the Korean Society for Composite Materials. 2002; 15(2) 4, 32-39. 2. * S. R. White, N. R. Sottos, P. H. Geubelle, J. S. Moore, M. R. Kessler, S. R. Sriram, E. N. Brown, S. Viswanathan: Autonomic Healing of Polymer Composites, Nature. 2001;409,794-797 (DOI). 1. * M. R. Kessler,a S. R. White: Self-activated Healing of Delamination Damage in Woven Composites, Composites Part A: Applied Science and Manufacturing. 2001; 32:5, 683-699 (DOI).